From small ski resorts to big cities, the RootRez software powers booking engines across a variety of markets throughout North America. These are some of our success stories. 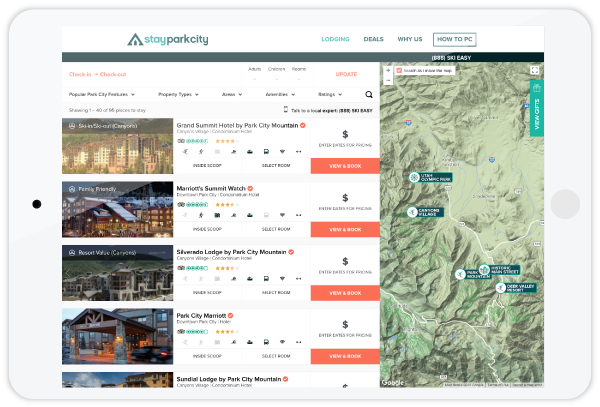 Built to better serve vacationers and to be a revenue generator, this booking engine is located on a DMO site targeted to those wanting to visit the mountain town of Park City. Easily integrated onto partners sites, they have become the official lodging provider for several local events, which continues to increase traffic to the site and elevates the lodging supplier's properties. Alta is known as a popular ski getaway and is surrounded by a quaint town filled with quintessential ski lodges. 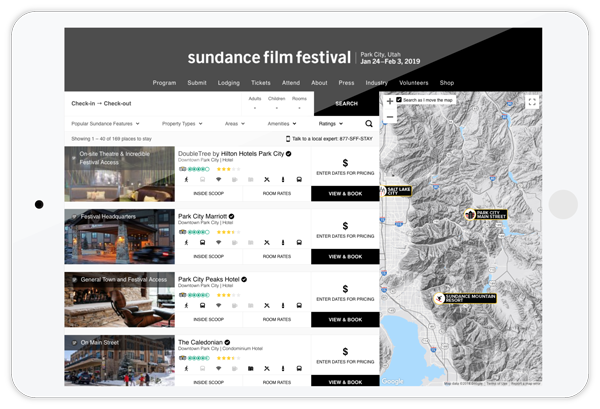 They integrated a RootRez booking engine onto their site so that skiers could explore the options in the area and reserve their accommodations through the webpage they trusted for lift tickets and more. 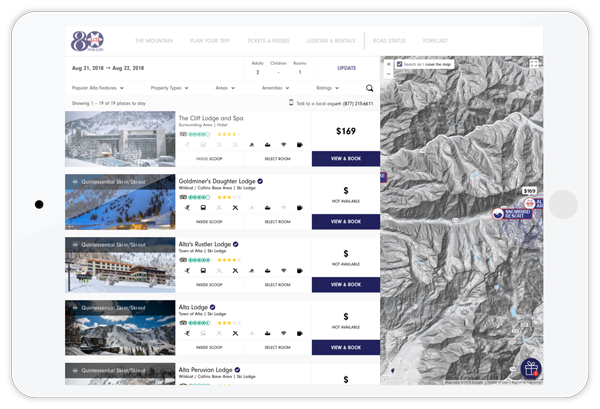 The software helps guests book their ideal ski vacation while making valuable revenue for both the local hoteliers and the resort. Taos.org exists to promote the destination of Taos, New Mexico. A RootRez booking engine provided the site a way to help vacationers and business travelers plan their trip by giving them a variety of lodging options throughout the town. Hotels can connect directly and provide a link to redirect an engaged audience to their own website. 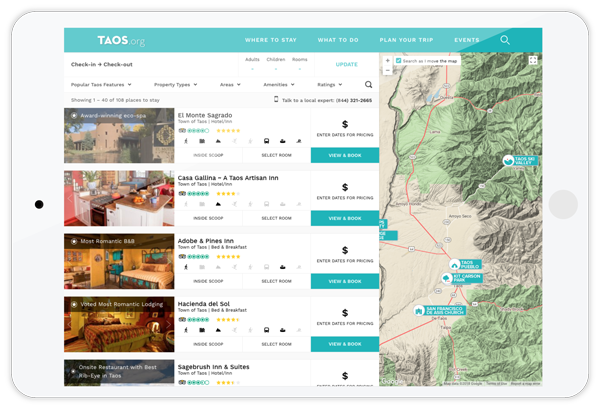 The real-time reporting helps Taos determine the effectiveness of their marketing campaigns by being able to view the number of travelers that booked through their site and allows them to better serve their lodging partners by elevating their website presence. People were already flocking to Park City for the Sundance Film Festival. With a RootRez booking engine, the Festival captured the excited attendees that were eagerly looking for places to stay by offering them a wide selection of hotels, vacation rentals, and condos in the nearby area. The non-profit wreaks the benefits by earning valuable commissions from a once untapped revenue source. 2019 Rootrez. All Rights Reserved.